Hello from the team at Serious Sport! 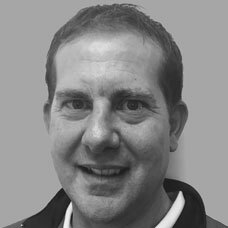 Neil is the founder and MD of the Serious Sport Group, which he started following a successful career at the Ageas Bowl in Southampton, and as Manager of the England Women’s Cricket Team. The first person to develop the online clothing store concept for teams, his time is now spent on ensuring that the Serious Sport Group continues to be the fastest growing sports clothing company in the UK. Often seen as the cement within the bricks at the Serious HQ, Simon helped set up the business from scratch in 2005. As Operations Manager there isn’t much he doesn’t know about all facets of the company, and is the vital cog in the machine that ensures all the orders are dispatched on time. He makes the vision of the business a day to day reality. With an aim to keep Serious Sport at the forefront of Personalised Teamwear in the UK. Working hard to ensure that customers gain a positive journey from enquiry to playing in their kit and teamwear. Whether you are a Womens Super League player or the local village cricketer we will make sure your experience with Serious is of high quality. 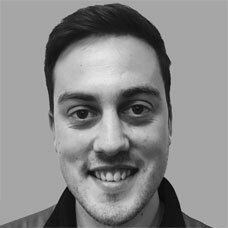 Having been one of our first ever customers 10 years ago, Tom has become an irreplaceable member of the team since leaving Loughborough Uni. Having helped out in all areas of the company his role is now to develop our brand as we move forward in to the next decade of growth. With an attention to detail the level of an astronaut, Tom is crazy on the stats and all things databased. Michael is our go to man for all things equipment. Joining us in 2015, you're most likely to meet Michael in our Dummer Shop where he will be on hand to guide you through your purchase with his extensive equipment knowledge. Damian has been involved in sport all of his working life. Starting out in Sports Development he has progressed to a leading figure in the world of football kits. He joins the team as part of the purchase of Toga Sports and has been managing the football accounts for the past 6 years. Damian has the ability to build excellent relationships with customers new and existing, ensuring they receive the high quality experience they deserve. He is keen to use all of his knowledge and experience to establish Serious Football as a leading brand on the market. Damian has a passion for football, spending much of his spare time running both an adult and youth team or watching the beautiful game. For the last 7 years Gemma has always been the go to girl for all things office based and customer related. A hugely calming influence in the ‘busy season’ there isn’t many parts of our operation that she hasn’t been involved in! With a background in corporate administration at the top level and a son who plays International Cricket, Antonia is the latest member to join our office team. With a driven attitude and experience of ‘getting the job done’, she doesn’t leave any stones unturned when ensuring you get the best customer service possible. 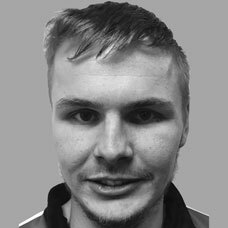 Joe joined the team in 2016 and quickly learnt all the roles within the warehouse from bringing deliveries in to sending orders out. He has since progressed learning stock control and running of the warehouse, including redesigning the layout to improve productivity. Joe has adapted everyday and now understands the whole process of the order cycle so much so that he has recently progressed to becoming Production Manager. With a dry sense of humour Joe keeps everyone entertained throughout the building and is the go to man for any maintenance in the building! As our Head Coach and with Professional playing experience under his belt, Richard co-ordinates the coaching at Serious Cricket. He looks after all the programmes at our Cricket Centre or externally at the many schools, clubs, district associations and county teams we work with. Terina originally comes from an IT background but joined us looking for a more hands on practical role. Having spent 18 months learning and perfecting the art of embroidery she now heads up the department. A tenacious attitude to any job she doesn't mind getting stuck in and production underway. A real party girl who has been known to 'burn the candle at both ends' she will always go the extra mile to ensure production is at its best. Zoe has more than 14 years experience in the Embroidery and Print world but finds most joy in the latter. Joining us in 2016 Zoe knows all things production and if it isn't organised to her high standards you'd better watch out! With an acute eye for detail and forward planning, she doesn't miss much. Zoe also prides herself on a finished article claiming to be the best folder in the company! Joined us in 2014 having been a swimming coach for a number of years. With an eye for detail and a meticulous approach to her work, she always makes sure that your item of teamwear is of the highest quality before it leaves our HQ, whether she is embroidering, printing or quality control Nat is always in high spirits and is always up for a laugh. Debs is always happy to try her hand at anything thrown at her. Having offered to just help out, 10 years on she didn’t quite realise what she let herself in for! A former County Badminton player, she will always get to the bottom of any query with meticulous detail. ‘Olly’ is a key part of our coaching team working with players in a group and one to one environments. If he isn’t doing that he can often be found as a spare pair of hands in our retail outlet, busy warehouse, or even helping out behind our bar!